February 29th. What a special day. Leap year. My husband and I know a couple that married on February 29th, they obviously have a great sense of humor and enjoy telling people that they have only been married four years when in reality it’s been sixteen! Think about where you were four years ago. February 29th, 2008. I was doing a million and one “mommy and me” things with my then, only child, Sebastian. This was before the print industry took a nose dive, so I had a lot of freelance work and was busy writing articles for several magazines. Physically, I still had at least twenty-five pounds of baby weight on me but knew that I wanted another child, so I didn’t feel pressured to get slim only to put the weight back on. My vision for the future wasn’t exactly crystal clear but did include steady writing, two kids, and travel, which for the most part has manifested. Our vision for our future can have strong implications for our lives. We are always growing towards something; otherwise, we are regressing and not gaining traction towards achieving our goals. Vision boards are useful tools for honing in on what we want to achieve, how we go about meeting our goals, and giving us an overall picture of what we want (i.e. something to focus on). If you don’t believe me, click on this link from the self-help Guru herself, Ms. Oprah Winfrey, about the power of vision boards: how they assist us in guiding our lives and how to make them. 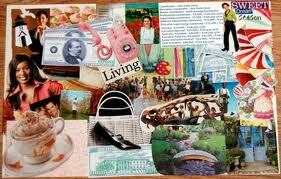 To make a vision board begin by considering who you are, who you want to be, and how you want to mature. What do you want out of life? Write these down. Do you imagine yourself taking more time out to meditate? Exercising more? Chewing more slowly? Volunteering? Biking to work? Visiting a place you have always wanted to see? After you have made a list of dreams and goals, grab a pair of scissors and let the fun begin! All of those visions you have for yourself can generally be found in an image so find them in magazines and cut them out. They can be pictures or phrases or just a word. Have fun and be specific, leaving nothing out; this is your life we are talking about, and your vision board can best be described as a map that your consciousness will use to make your vision a reality! Once you have all your pictures and phrases, you can then copy and paste or tape them onto a piece of poster board or canvas and then keep your board somewhere that you make eye-contact with frequently (why not make a couple?). 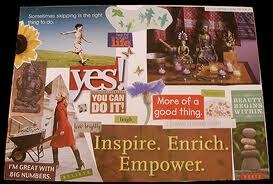 I cannot tell you how many people I know have used vision boards with success. There is something very magnetic about doing the work: making your lists, envisioning your future, and then cutting out your pictures and putting them onto paper. Your brain follows this mind map with focus and determination. It’s almost magical to find yourself manifesting your goals and dreams simply because you put the images on paper. 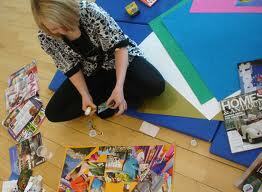 Take the opportunity of February 29th, Leap Year, to make a vision board and map your life four years from now. Come 2016, let’s be sure to check-in together and see how we have actualized our growth, our hopes, and our desires. 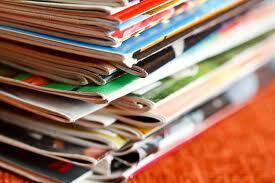 Please share images of your vision boards with the JumpSport Fitness™ community. You can make comments on this blog or write on the JumpSport Fitness™ trampoline Facebook wall: www.facebook.com/FitnessTrampoline. You can also Tweet or be Tweeted to by following JFT on Twitter @FitTrampoline. Here’s to all life has to offer you!